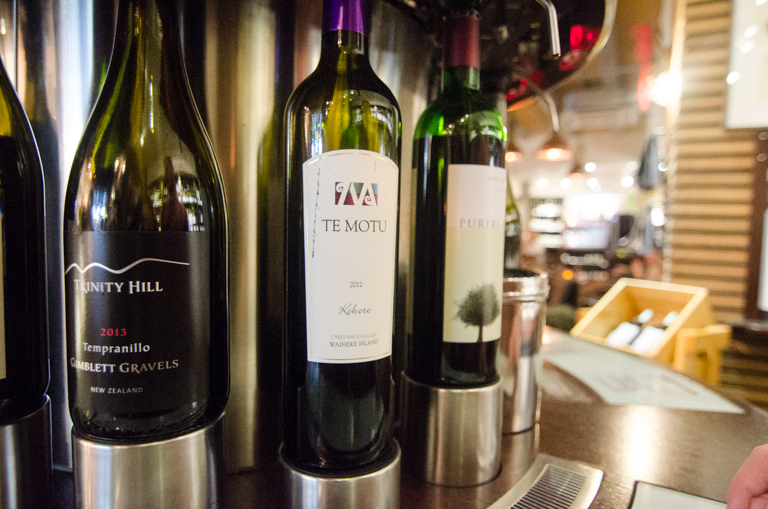 Imagine a place where New Zealand’s best wine is “on tap.” It’s like going wine tasting, except that you visit a bunch of different vineyards all at once. 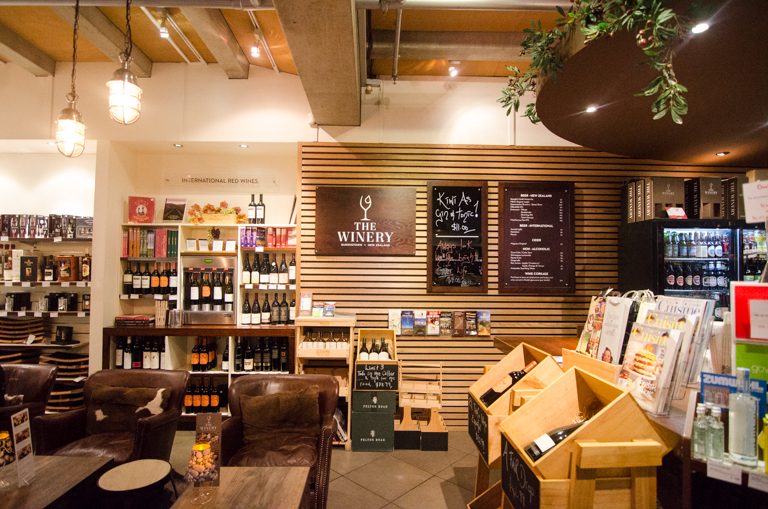 It’s also sort of like a wine bar, except that you get to walk around and pour yourself a bunch of little samples of wine. Maybe you try some wine you normally wouldn’t, just because you can get a small taste instead of a whole glass. Once you find your favorite, you pour yourself a full glass and maybe have a bite to eat before walking back to your hotel. Woo hoo! This place exists! I know I sound a little bit crazy, the way I talk about wine. I think it’s pretty obvious by now that Nick and I went to New Zealand for 3 things – food, wine, and nature. 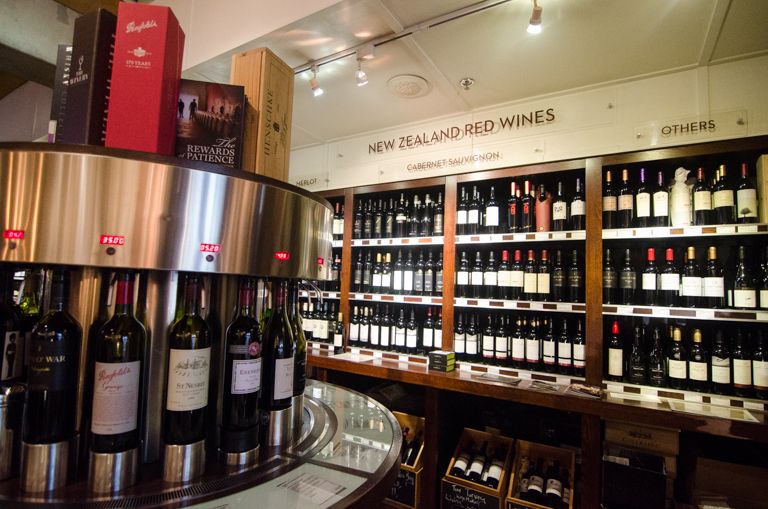 New Zealand has ten different wine regions, and we were lucky enough to visit three of them. And then we found out about The Winery. We spent four days in Queenstown, and I can’t wait to tell you all about it. But first, I feel like The Winery deserves a post all for itself. Here’s how it works. When you walk in, you head straight for the cashier and you get a card. You walk around and look at all the great wine. 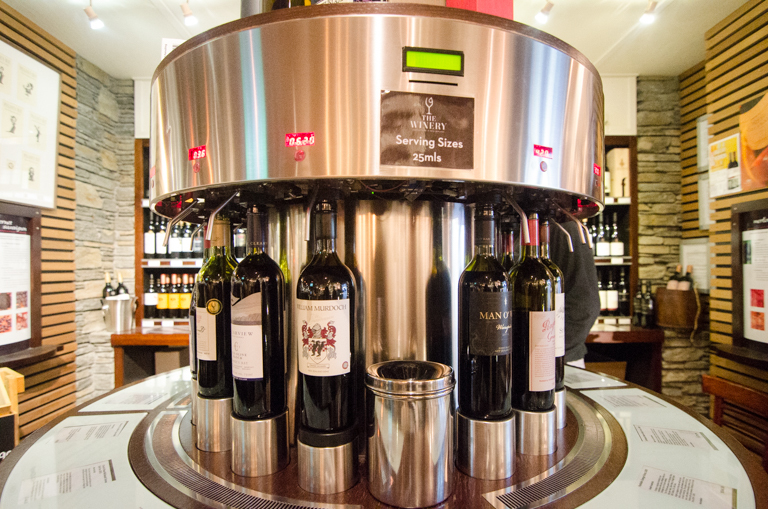 Once you have chosen the wine you want to try, you put your card into the wine dispensing machine. 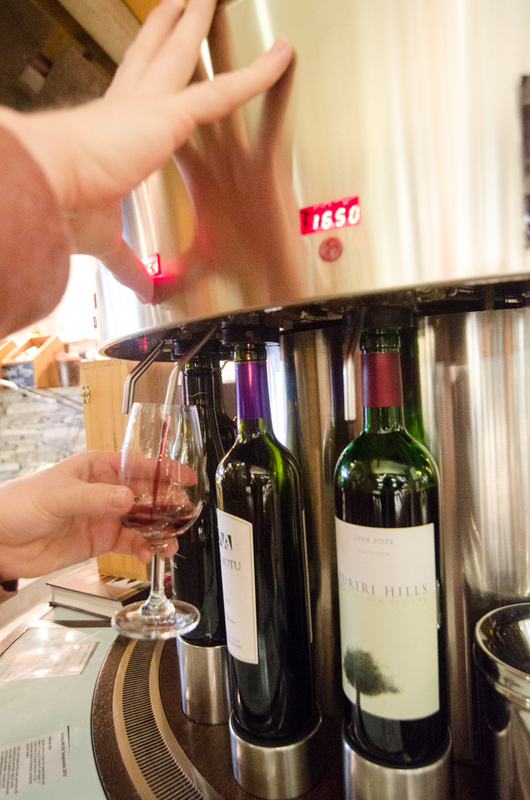 Then you press the button of the wine you want to taste as well as the amount of wine you want (taster, half glass, or a full glass). Then the machine dispenses it for you. So much fun! 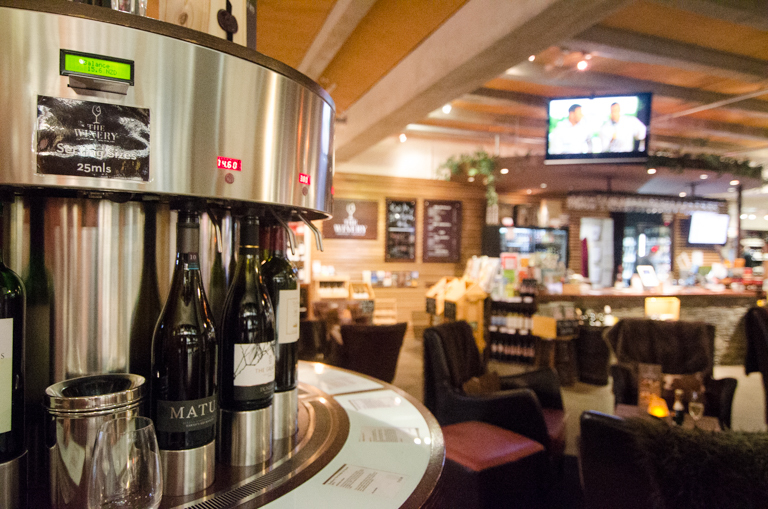 The idea is that you get to try a bunch of different sample servings of wine – 25ml tastings. You can go around the whole place just sampling wine, or you can get a glass and sit down to order some food. 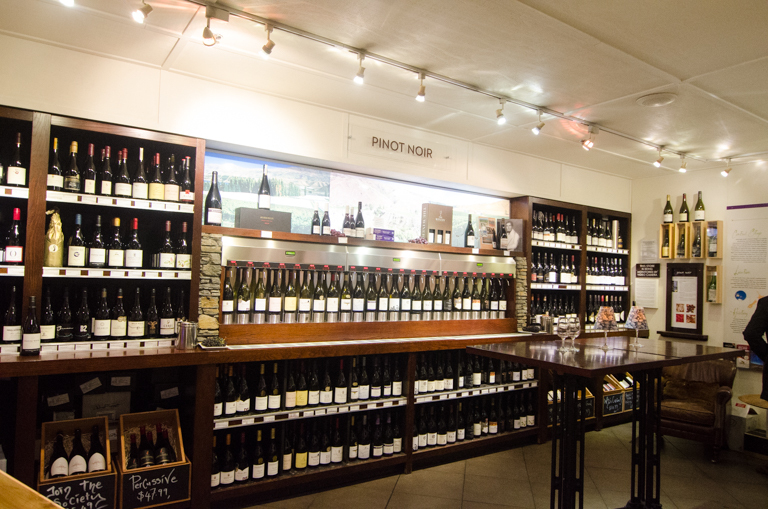 They have 80 different kinds of wine to try. We tried all different kinds of wine, and there wasn’t much I didn’t like. You can try as many kinds as you want, and you pay at the end. Luckily, the card keeps track of how much you are spending. Before you try each sample, the machine tells you how much you have already spent. So, there are no surprises when you go to pay. 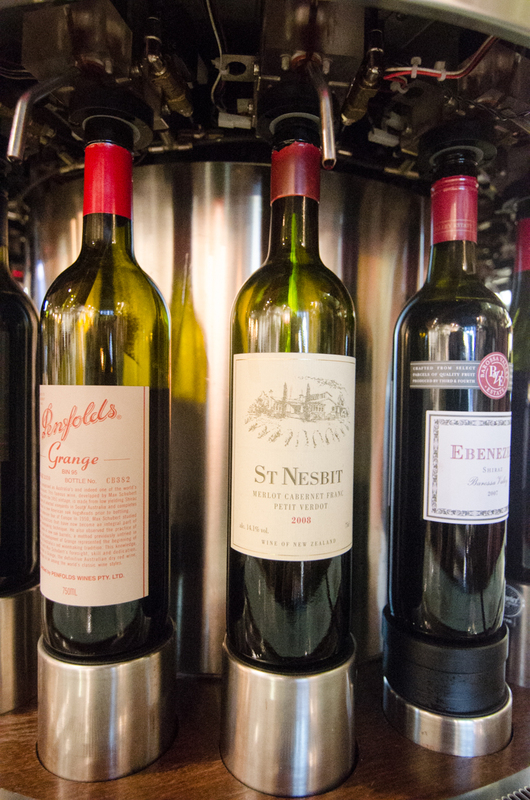 The tastes are all different prices, depending on the price of the entire bottle. I think that most of the ones we tried were around $3 NZD. You can definitely go crazy with $20 NZD for one pour if you really feel like it. I am pretty sure we ended up going back every day that we were in Queenstown. I really liked that there were a few different options for tasting sizes. I am kind of a lightweight so I liked being able to just have a very small tasting. I want to try a little bit of everything instead of having a whole glass of just one thing. It was a lot of fun and I would highly recommend it, even if you just get one or two samples. You can’t miss the place. We had read about it online, so we knew we wanted to try it out. But on our first day in Queenstown, we found it on the main restaurant/shopping area without even looking for it. 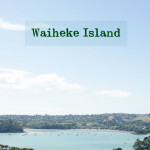 It was so much fun to walk around and see wine from places we had already visited, like Trinity Hill and Te Motu! 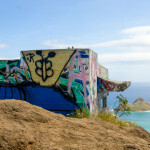 This place was a lot of fun! 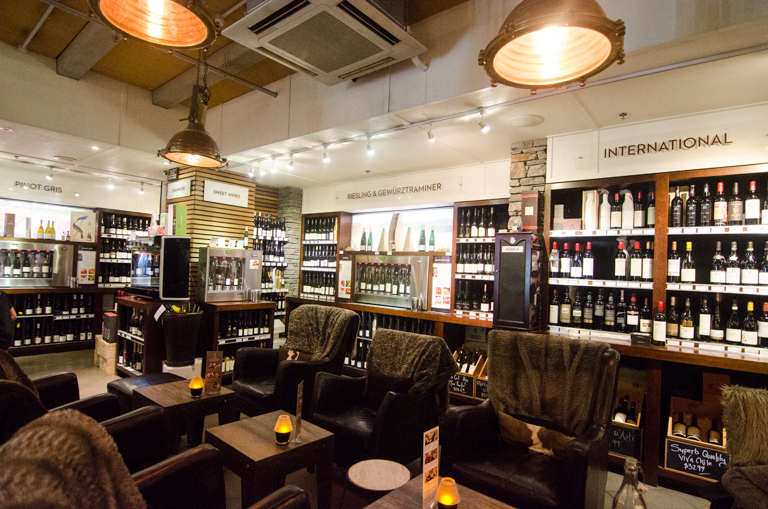 I really liked how casual it is – no one bothered us or tried to sell us more wine. We just walked around with our glasses and tried what we wanted. And we did end up buying some of wine we tried — but we went to a liquor store for cheaper prices!